This is a book that I downloaded months ago and have been meaning to read but somehow my Kindle had filed it in my archived items, and so I forgot about it! But now I’ve read it, I would say it was worth the wait. An inspirational mix of self-help and real life stories. Dianna Kelly is the primary author with Jay-lyn and Jo providing their own contributions throughout. The introduction invites you to challenge your existing thoughts and perspective on life. Asking Do you want to change your life? Are you your worst enemy? and motivating the reader to want to take action, to begin the process of change. Following the introduction are chapters on Accountability, Perspective, Gratitude and Forgiveness. Each written to encourage and guide us towards living the life we want rather than existing in the life we have. There are many echoes of my own journey of change in this book and I could easily empathise with the real life contributions, making sense of how each situation could impact on how one sees their life. 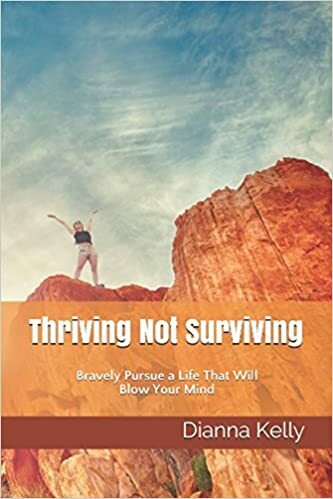 In a triumph over adversity style this book provides tools for the reader to start pursuing their own amazing life. Jo A Creative PTSD Gal. Thank you Karen! I appreciate the review! !